This little platter is truly lovely. My pic doesnt do it justice. 21 cm across. Hi Maryr, the design is called Cousteau. It was made in 7 shapes. 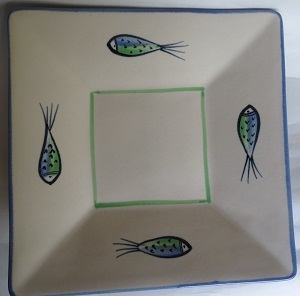 Round platter, rectangular platter, pizza plate, large square server, medium square server, small square server and mug.